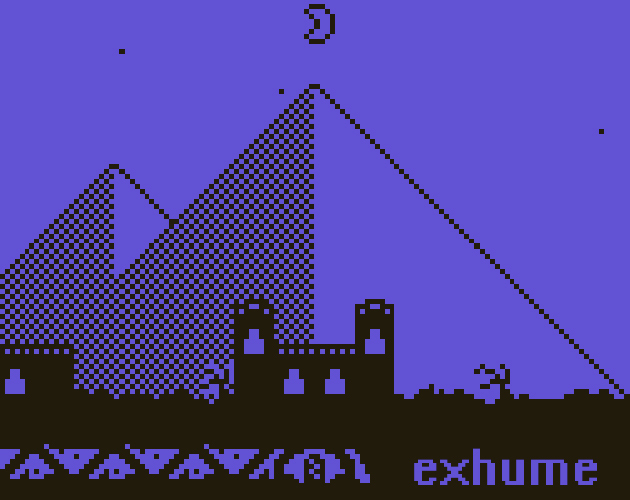 I made a short game, Exhume, for March’s Bitsy jam themed on archaeology. I also made an audio track to accompany it. The torturous descent into Nic Cage & Vampire's Kiss.